Free Alarm Clock is a handy tool with which you can set up multiple alarms for all sorts of tasks – just like you do with your mobile phone. You can set one-time alarms or repeating alarms – activate only from Monday through Friday and offer you a chance to sleep on the weekends. Alarms that you set will sound even if the computer goes to sleep. With attractive minimalist interface, Free Alarm Clock can let you use custom audio files. 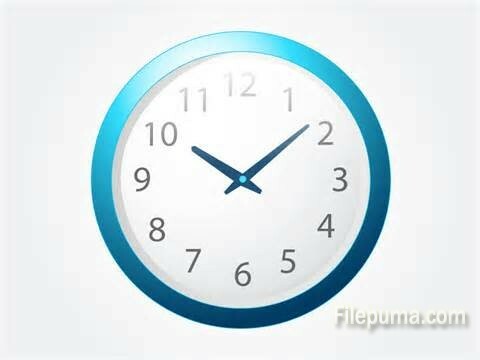 TimeLeft is a countdown, reminder, clock, alarm clock, tray clock, stopwatch, timer, sticker, auction watch, web countdown, working days countdown and time synchronization utility. It is user-friendly and very easy to use. Vector Clock is a fully scalable desktop alarm clock that can be placed anywhere on your screen, rotated with total freedom, resized to any scale and set in a 3D perspective view without losing any quality. Vector Clock is customizable. You could set the detailed clock options as you like. 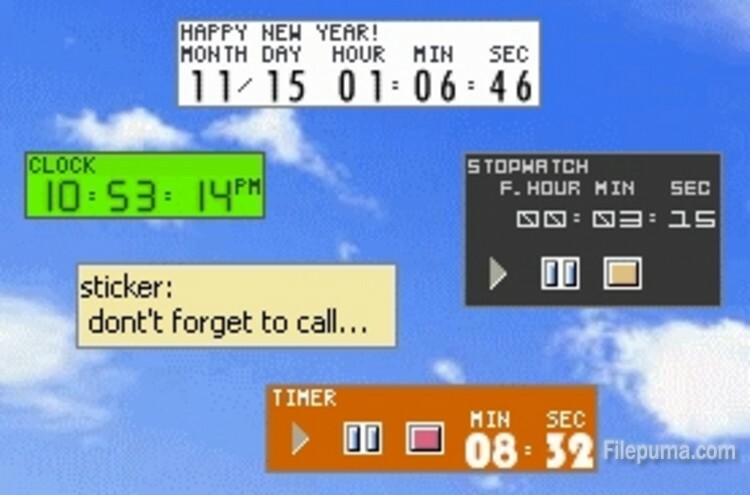 Alarm Clock is an alarm clock for your PC, with a total of eight alarms–one for each day of the week, as well as an additional one-time alarm for use at any time. You can use the built-in sound (very obnoxious) or you can even have it to play MP3s. 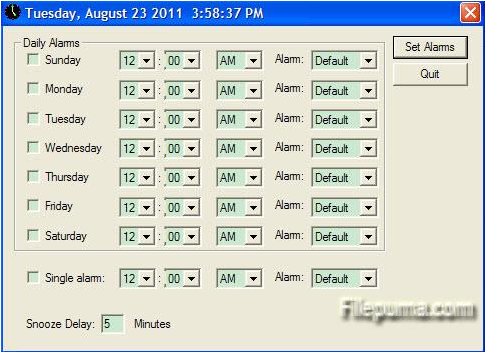 If you need a no-nonsense alarm clock for your PC, this program provides a nice wake-up call.